8 Ways to Enjoy the Great Outdoors in Austin, Texas. #3 Looks Tasty. Your personal preferences will help you decide what type of rig is best for your full time RV lifestyle. Rene breaks it all down in this can't miss article. It might seem like a complicated question but in reality, the answer is right in front of you: the best RV for full time RVing is the motorhome, fifth wheel, travel trailer, camper or van that works for your unique lifestyle. Before you ever visit a RV dealer, start thinking about the kind of destinations that have always appealed to you or that you’ve enjoyed visiting. Off-the-beaten path adventures to remote public lands? or Staying in four-star resorts with fine accommodations? Vacationing in popular spots like Disneyworld? or Off-beat, quirky roadside attractions? Cool alpine climates? or Hot dry deserts? Warm tropical destinations? or A variety of weather? People are creatures of habit and generally speaking, the kind of vacation spots a person usually enjoys visiting will dictate where their full-time RVing adventures lead them. Assessing your preferences for destinations and creature comforts is critical since not all RVs can accommodate every type of lifestyle preference. For example, most public campgrounds are not designed to accommodate modern, super-sized RVs so if you’re an outdoorsy type who wants to explore national parks, forests or other publicly-owned lands in your full-timing travels, consider buying a RV that’s smaller than 35′. Keep in mind that if maintaining your present living standard takes precedence over destinations and you’ll only consider RVs in the 40-foot range, you’ll be limited to larger, modern and more expensive RV parks designed to accommodate super-sized RVs. 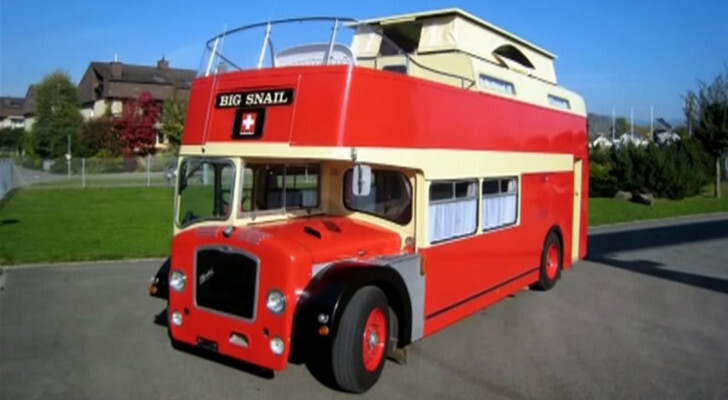 The size of a RV also determines your accompanying vehicle. Larger towable fifth wheels and trailers usually require heavy-duty, one-ton trucks for safe hauling, while motorhome engine size determines whether it’s safe to tow a Mini Cooper or a Mini Van for an around town vehicle. 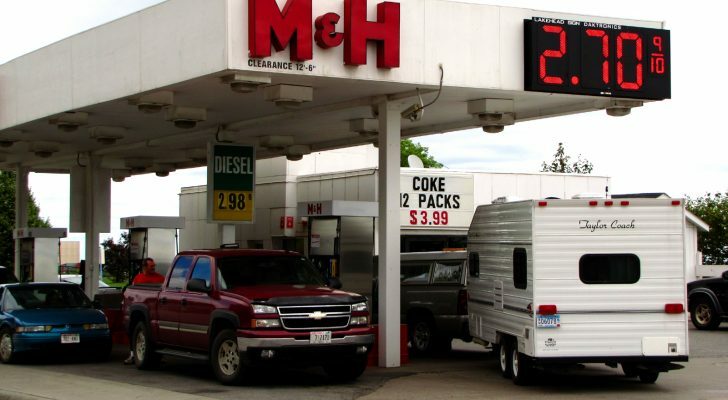 The cost of your RV’s ancillary vehicle plays a major role in choosing the best full-time RVing vehicle for you. 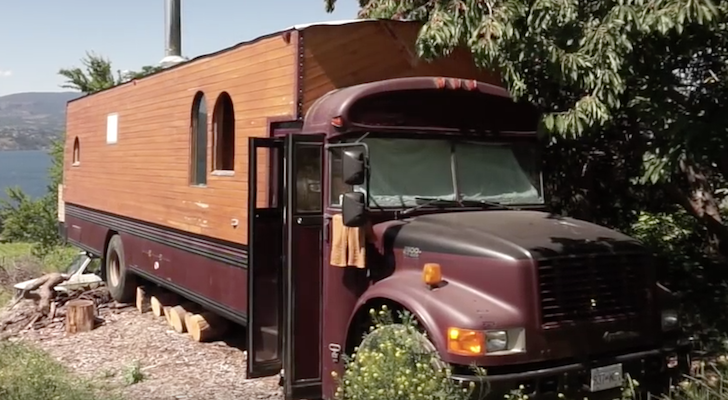 The more you downsize your current “sticks and bricks” lifestyle to fit into a smaller RV, the more opportunities you’ll have to explore off-beat, quirky settings. 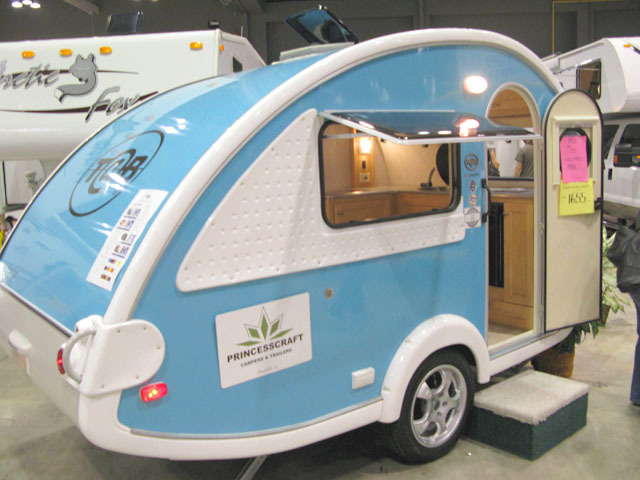 Recreational vehicles are meant to be just that: recreational. From the most expensive custom motorcoach to the inexpensive weekender edition, any experienced full-time RVer will tell you that few, if any RVs have the ability to withstand the demands of living full-time inside a moving house that travels to different climates. 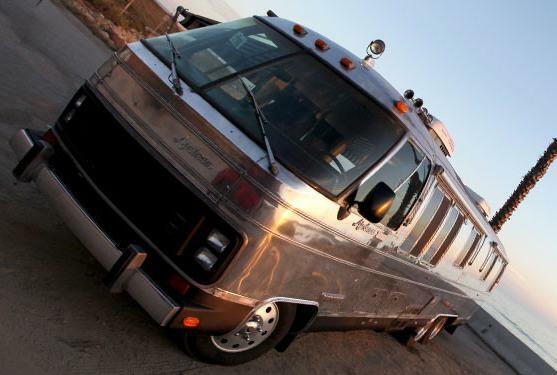 Prevost or Prowler, Monaco or Minnie Winnie, eventually they all succumb to the demands of being a full-time home. 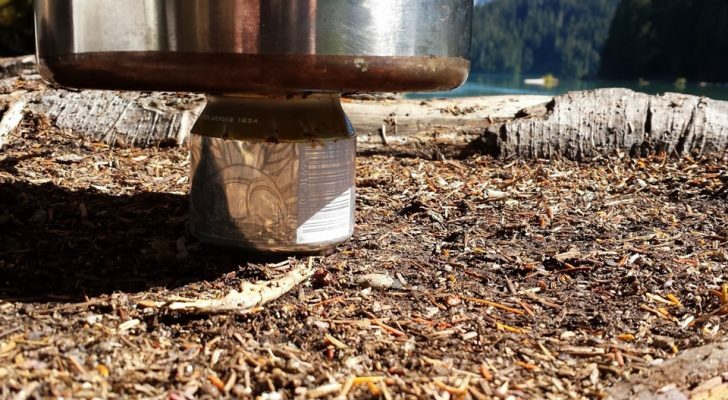 However, knowing your propensity for certain types of climates is one way to somewhat control the factors that affect how you and your RV copes with Mother Nature’s wrath. For example, if you’re a snow bunny and plan on hitting the slopes in Colorado, finding the most well-insulated, four-season RV that you can afford will serve you well when the mercury hits the freezing point. A rig made for harsh, cold environments will keep you more comfortable and your rig less susceptible to frozen plumbing disasters and condensation from using the furnace. 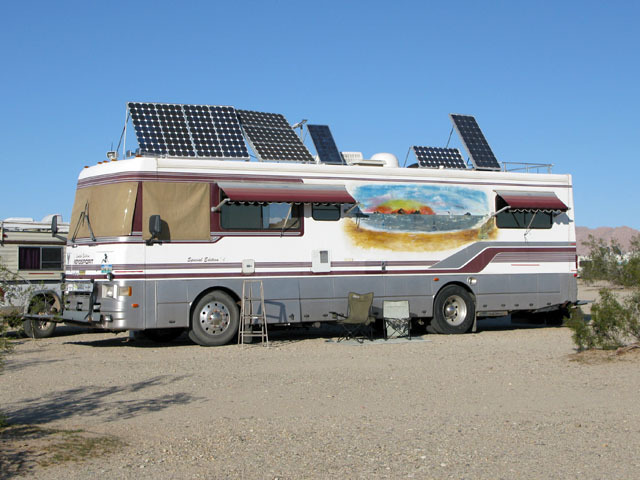 On the other hand, if you follow the sun and you only want to fly with “snowbirds” – moving from North to South in winter, and back up during spring – a lightweight, less expensive two or three-season RV will probably serve you well. When it comes to picking a full-timing RV, few full-timers get it right the first time. 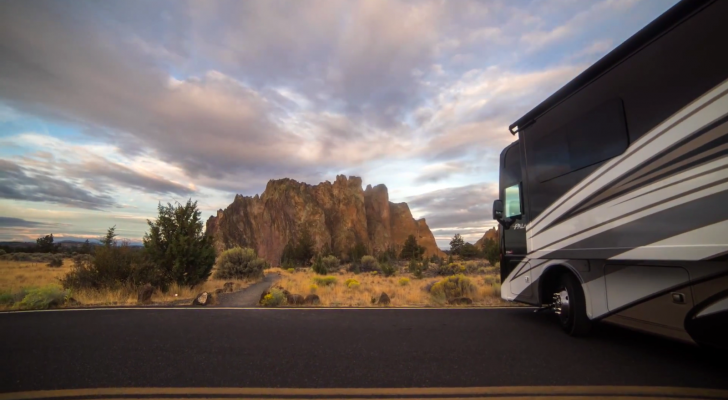 It takes many miles under your wheels before you know for certain what RV is best for your full-timing lifestyle. Sometimes our paths take us in directions we never envisioned and we end up changing RVs multiple times, but a third way in which you can minimize your search criteria is by assessing what type of space requirements you’ll need. Need to generate income from the road? or Collect a pension and never work again. Grow or maintain a business or hobby? or Stick to reading and crossword puzzles. Living in a small space requires the ability to keep clutter and excess to a minimum. If your favorite past-times and hobbies require anything more than a shoebox to contain them, your future RV will need to have the space to accommodate these items you find enjoyable. If you can’t afford the rig that does, you’ll need to find one that allows you to strike a balance between keeping that hobby and having an uncluttered RV. For many full-timers, hobbies take a back seat to earning a living on the road. As more young, full-time RVers utilize mobile Internet technology and work from their RV, they typically require space for basic business tools such as broadband connectivity, a mobile device and laptop and a comfortable place in which to work. 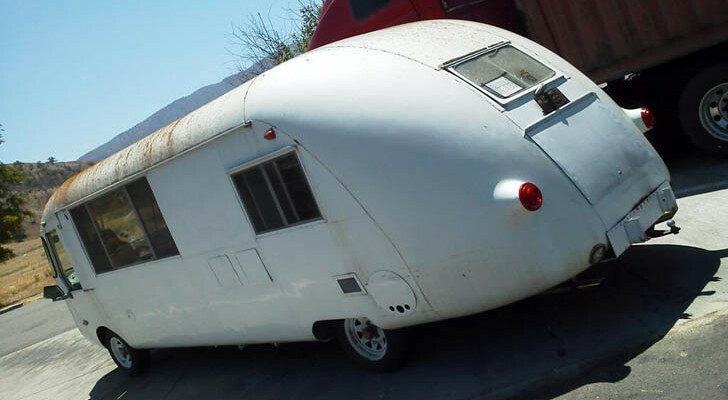 For some mobile entrepreneurs, a dining room table is adequate as a desk but for others, particularly crafts people and artists, a RV with good lighting, work space and storage capacity is needed. Carefully consider how your current and potential income-generating methods will affect your future RV’s living area and storage capacity, then choose the rig based on its current layout and ability to grow with your business needs. Look for RVs featuring bunkhouses and other areas that can easily be segregated into office space that you may be able to write off. Buying your first full-timing rig is a process that should be given careful consideration. 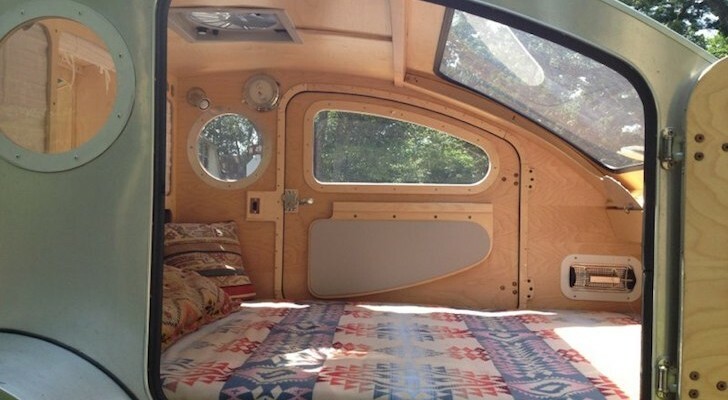 Remember: your happiness on the road is greatly determined by how comfortable you are in that first RV. If you want to avoid a premature end to your full-timing adventure, choose slowly and wisely, But remember, if that first RV doesn’t work as you had hoped, you can always trade it for a new one from the millions of available RVs for sale on the open market.